Since FSFE publications and related materials are created and distributed through a variety of channels, there is a need for a central resource on style guidelines. This style guide attempts to collect at least the most important cornerstones to help you create whatever FSFE material you come up with. 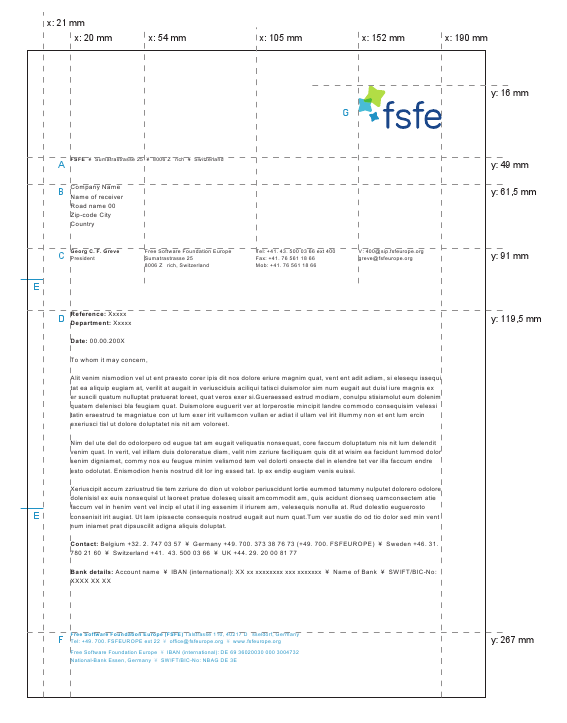 Logo correct: The FSFE logo consists of the acronym fsfe AND the picture mark in their determined position and size. Logo incorrect: Do not seperate the acronym fsfe from the picture mark. Logo incorrect: The acronym fsfe should not stand alone. 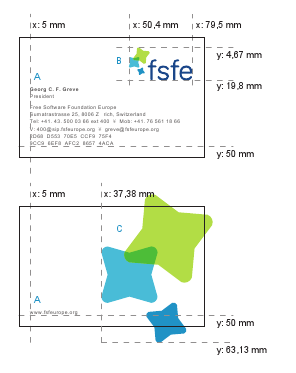 The picture mark may be used by itself in any variation as a design element as on the back of the FSFE business card or on any other medium.